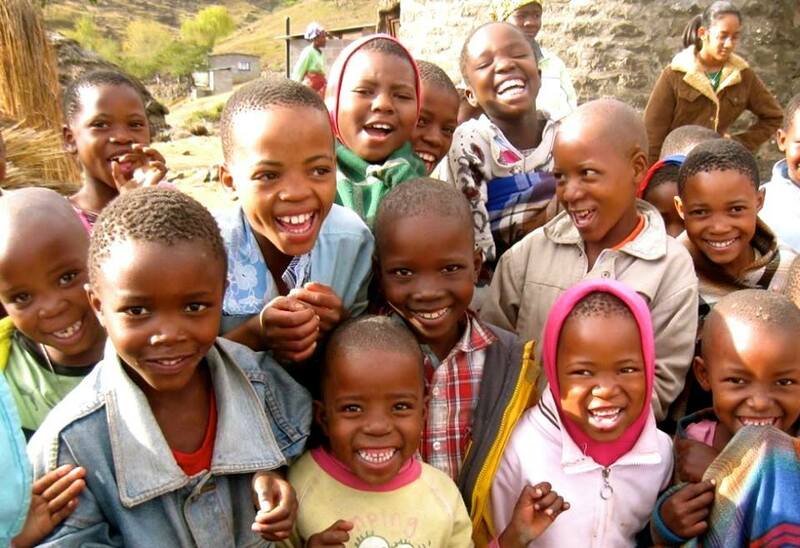 As you probably know, we have spent last week in Lesotho, Africa – the country we will be moving to in seven short months! While we were there, we kept a journal with the hopes of sharing about all of the exciting things we were seeing, learning, and experiencing. God truly moved in our hearts, and we are excited to share with you (over the next seven days) our thoughts about the trip! Tyler is driving in South Africa!!! It is his first time driving on the wrong side of the road and he is doing great. We landed yesterday night and ate pizza at an “Italian” restaurant. We were thankful we had leftovers when we woke up from jet-lag starving at 4:00am. It’s weird to be driving on the wrong side of the road at first but you quickly forget about it. It almost comes naturally after a short time. The entire trip from Johannesburg, South Africa to Katse, Lesotho takes around eight hours of driving- without stops. For the most part, the roads are clear and free of traffic. Every once in a while we drove through a small town and the traffic got a bit confusing, but nothing too bad. One of the towns we drove through is called Bethlehem. On the map it is four and a half hours from Katse. We will be coming here often to buy food and supplies. It’s nice to know there is a place nearby when we forget to buy toilet paper. When we looked through some of the stores in Bethlehem, Tyler and I both saw lots of items that remind us of America. In fact, we will be able to get most of the things we are used to having now, just with a slightly longer commute. It will take some getting used too, but I think we can do this! Several hours later, we are about an hour and a half outside of Katse when our breaks suddenly fail. I don’t know about you, but we have never had to use the emergency brake for anything other than parking on a hill – but it sure came in handy. It was God’s provision that we had just had a conversation about the emergency brake not even ten minutes before the brakes went out. Tyler pulled the brake at the perfect moment to stop us from hitting the car directly in front of us. So we all piled into the other vehicle, left the broken down car behind, and drove toward our new home in a slightly more cramped seating arrangement. The mountains were so beautiful as the sun was setting. It got dark just as we reached the gate leading into the Katse village. Tyler and I looked forward to seeing the sunrise on our new home the next day. During a delicious meal with the Flora family, we spent some time getting to know them. We will be working alongside Jim and Teresa throughout our time in Lesotho and will be looking to their experience and wisdom about the Basotho people. As we drifted off to sleep we were reminded of God’s faithfulness and protection. We look forward to an amazing week serving him. Previous Article New Year, New Continent! The brakes! So glad Tyler knew what to do! We are excited to hear more about your trip! Wow, you have a beautiful place to serve. And I love the title of your blog. May your glorify Him in every step you take to bring the Gospel of Hope to Lesotho.